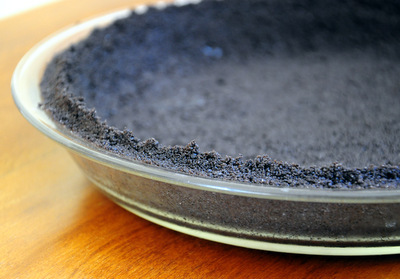 Making an Oreo Pie Crust is very easy. 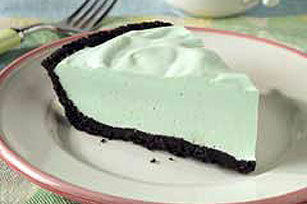 This is the basic pie crust recipe for this no bake crust. And because the pie crust is no bake, you will want to make certain you use it where the filling does not require baking. Obviously it is finely crushed Oreo cookies that form the delicious crust. 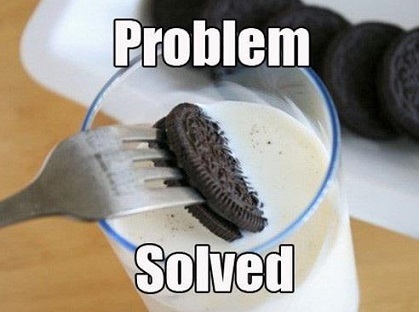 You can substitute other chocolate sandwich cookies. Add some melted butter and your chocolate pie crust is done. 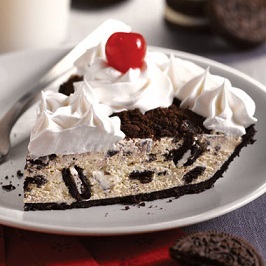 You can also purchase the Oreo® pie crust in the baker's section of your grocery store if you'd prefer or lack the time. There are several ways to grind up the Oreo cookies. The easiest and fastest way is to use a food processor. Smashing them in a plastic bag is another way to do it if you do not have a processor. All that's left is to add your no bake pie filling and, depending on the pie you are making, you may want to use any left-over crumbs as a garnish on top. Enjoy your Pie Crust, the pie you make and the company of those you share it with! Did you know? How did the Oreo get its name? The people at Nabisco do not know. Many people think the name is a combination of taking the "re" from "cream" and placing it between the two "o"s in "chocolate" - making "o-re-o."